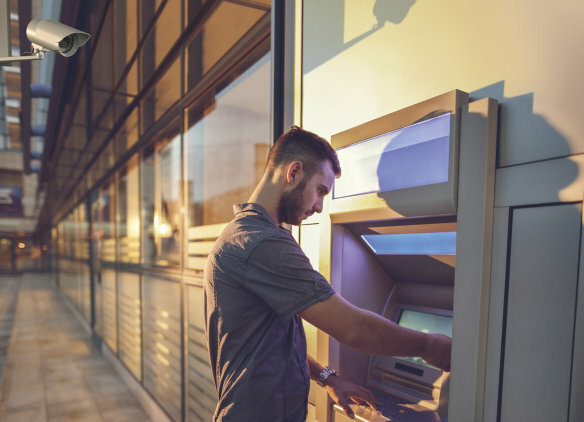 Whether wide-range surveillance of parking lots, industrial sites or airports, video cameras in banks or number plate recognition at the gate of a company’s car park – Closed Circuit Television (CCTV) keeps a close watch. Many solutions benefit from adding infrared light. Camera sensors register this radiation which is hardly noticeable to the human eye, producing high-quality images. Powerful IREDs facilitate compact illumination units for video and CCTV systems on an infrared basis. They substantially reduce the cost for packages, optics, reflectors and production. OSRAM Opto Semiconductors holds a leading position in the field of infrared LED illumination and supports manufacturers with ongoing power enhancement and comprehensive application know-how. To cover ranges of 100 meters and more especially for outdoor applications, the illumination unit must supply an optical output of several watts. So far the infrared spotlights have been based on a large number of radial through-hole components. Radial IREDs come in a broad variety of emission angles which facilitate narrow, far-reaching light cones. However, these devices reach their limits when high power is required because they are restricted to low currents in continuous operation for thermal reasons. losses. Thus the number of IREDs per spotlight is reduced. 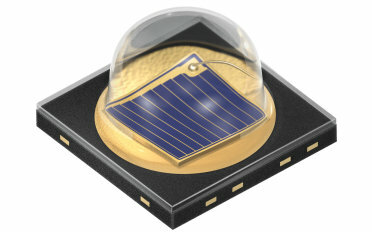 These products, such as the infrared OSRAM OSTAR®, reduce the board space significantly. Generally, IREDs in DRAGON®, OSLON® or OSRAM OSTAR® packages are recommended for long-range infrared spotlights. products are particularly well suited. For them a broad range of lenses is available with emission angles as low as 5° full width at half maximum. For the surveillance of interior areas such as banks or museums, either IREDs with different emission angles are used, or the emission optics above the diodes are varied. In speed dome cameras a motor swivels the camera through 360° to cover larger areas. In this case very high optical power is required because each image segment must be adequately illuminated at very short exposure times. 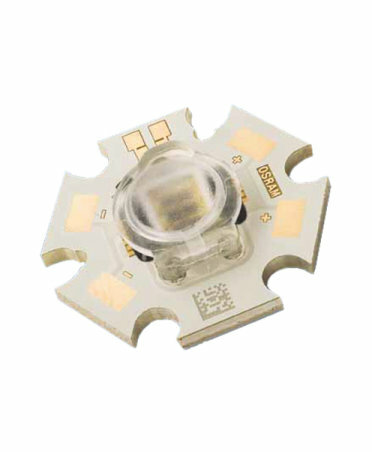 So far, the light sources in dome cameras have been mainly based on radial IREDs, but now manufacturers are increasingly favoring powerful diodes such as DRAGON® or OSLON® devices. 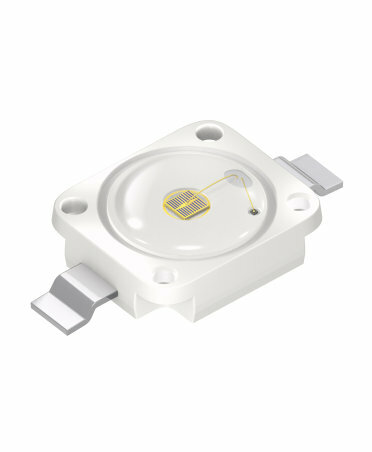 These compact emitters are particularly attractive for small and efficient systems. 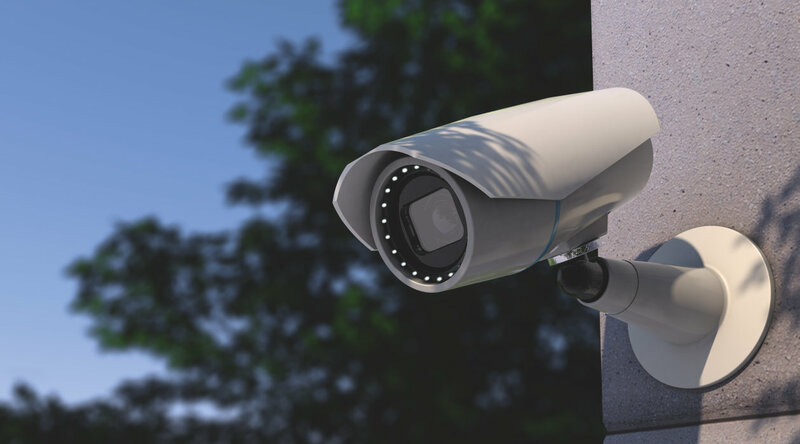 Automatic number plate recognition at gates calls for a special type of camera surveillance. In this case, the license plate of a moving car must be captured in optimum image quality to enable the image recognition software to read the characters correctly. To reduce the interfering effects of ambient light, the systems only use infrared light and have a filter in front of the camera sensor. For cameras mounted at gateposts, DRAGON®, OSLON® or Power TOPLED® devices are the ideal compact illumination solution. 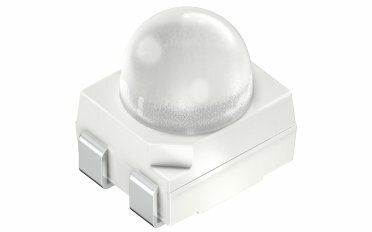 The SFH 4711A from Osram Opto Semiconductors is an economical solution for short-range closed circuit TV (CCTV) systems. 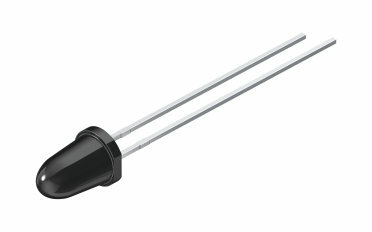 This emitter offers the right optical output and emission characteristics for this application.